To help celebrate Mother's Day, Boohoo.com ensured that my Mum, Sonia, and I were dressed for the occasion. As we won't see eschother on Subday sadly, we went for a few drinks tonight to celebrate my engagement. Neither me or Mum are "dress people" but we both enjoy getting dressed up in a nice top with jeans or leggings ready for a few cocktails so our new tops were perfect for the occasion. 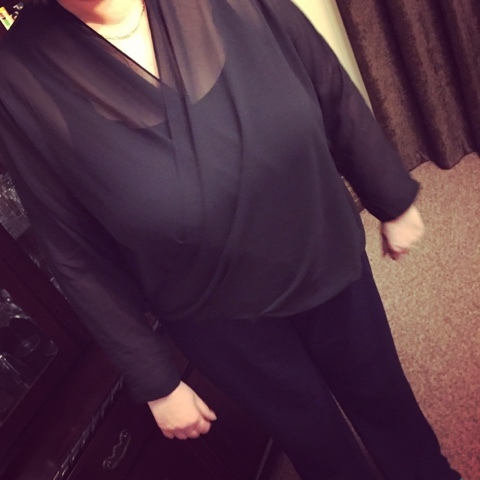 Mum likes her simple black tops with her black trousers so this chiffon wrap top is perfect for her and comes in a variety of sizes which she was so impressed with. At just £20 and available in a variety of shades, I think I'll also be getting this for myself. Ps - she didn't want her lovely face in the photo! 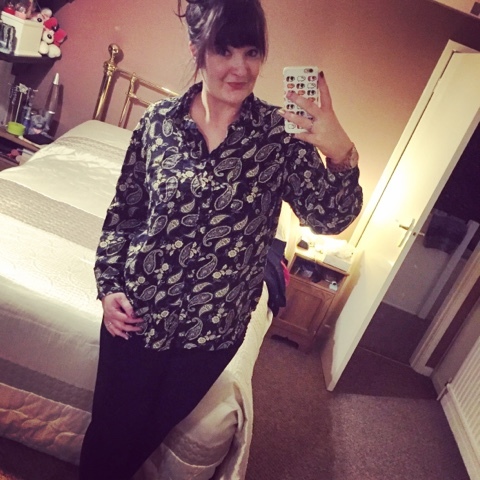 As much as I live chiffon, I'm all about the patterned blouses and overs sized shirts so I absolutely fell in love with this paisley print blouse. It was great over my black leggings. And again, for just £20, this is great for any occasion - as its so lightweight, this was actually my favourite outfit in Rome this weekend! It was so lovely to give my Mum a little something extra for Mother's Day as she's always there when I need her, through thick and thin we've been through a lot together. We don't spend as much time as I'd like together now I'm living away so that's why whatever time we do get is extra special so a huge thank you to Boohoo.com for helping us celebrate! What will you be doing to celebrate Mother's Day this weekend?